NEXT UP: LILLIAN FROM THE SMALLS ABROAD. I grew up in Canada where it was mandatory to learn French up until Grade 9. When I learned we would move, I started listening to French language course on CD during my daily commute. This helped me a little bit before I moved to Paris but I still couldn’t carry on a conversation until I started French lessons. I was excited. Since I had done it before, I had the basics and knew I could do well. I also speak Portuguese and I knew that would also help with learning French. Yes I wanted to learn right away and signed up for French lessons as soon as I could. I knew speaking French would help with our transition to living in Paris and help us settle in and feel part of the community. Even with the little French I knew before I arrived, I didn’t feel at ease and stumbled a lot. It took a while before I became confident speaking French. I enrolled in Alliance Francaise for a month but found the course too intense and very expensive. I then got a spot with the Mairie de Paris’ French language courses from Cours Municipaux d’Adultes. That was the best thing I could have done because it provided a 2 hour dose of French learning per day and I continued that for 4 semesters. Many people in Paris know how to speak English and are often keen to practice their language skills with you. I forced myself to keep speaking French even if they replied to me in English. I also listened to French podcasts and watched French TV and movies. Immersing yourself with the language is the best way to learn. Another way I perfected my French was to enroll in other courses (pastry, cuisine, theatre) with other French speakers. Since moving to Aberdeen, I’m afraid my progress has stalled. I’m focused now on at least maintaining my level. As soon as moved here, I connected with the French expat community and found someone to have French/English language conversation exchange. We meet for about 2 hours every week. I also keep in touch with my French friends and will write and read messages we send each other through Facebook. Near the end of my stay in Paris, I was confident enough and happy with my language level, that I stopped taking lessons and just focused on speaking as much as I could. I’m more motivated now since leaving Paris to maintain the level that I worked so hard to achieve. I had hired a French coach for a few months when I lived in Paris but I preferred the classroom setting. If I ever moved back to Paris, I would likely enroll in a course again because that worked best for me. What I’m most proud of is becoming a coach at a Crossfit gym and leading the gym classes in French. 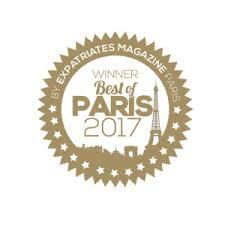 Even when I stumbled with grammar or words, like calling arms, “jambes” or legs, “bras” or when the participants would correct my pronunciation or laugh at my mistakes, I’m proud I was able to do that within a year of moving to Paris. Laughing at yourself your own mistakes was also a big victory. It’s hard to learn a language and you have to give yourself a pat on the back for even trying. My favourite word is “profiter”. There’s really no English equivalent and it just sums up how we lived our life in Paris. We took every opportunity and took advantage of everything the city has to offer. Do you have a favorite quartier in Paris? I love the 15th . We called it home for 3.5 years and to me, it felt very Parisian. It wasn’t full of tourists, it was quiet, had everything you needed and it was still close enough to our favourite place, the Champs de Mars. Lack of tardiness is something that we had to get used to when we moved to France. Often times we were the first ones to a party. And when we hosted a party, no one would show up until about an hour after the time on the invitation. It’s even funnier now because we adapted so well to that cultural quirk that we have to “re-learn” how to be on time now that we live in Scotland. Now we are the ones who are always late here! Thank you, Lillian! We enjoyed learning more about your French experience and are very impressed that you taught fitness classes in French. We hope you have success maintaining it outside of France. Best of luck!